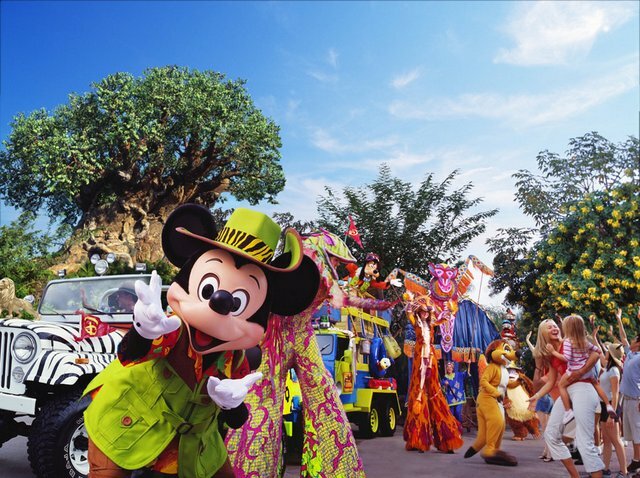 Jammin' with Mickey's Jammin' Jungle Parade! Whichever day it ends, if you are going to be around the Animal Kingdom park during the upcoming months, you might want to take one last look at the parade. It’s had a great run of it, but like most things Disney, this parade wasn’t ever meant to be a permanent fixture at the park. This parade isn’t something that I see very often — in my mind, Animal Kingdom has always been sort of a half-day park, but I remember one year, very early in our journeys to Disney World, we were at Animal Kingdom, and were about to head out for the day, when all of a sudden we heard the parade coming, and somehow, we were in a prime spot (at least, I think it was) for us to witness the parade, right up at the front where the rope is laid out. So we watched it, and had a fun time of it. Now tell me, if you will, what do you think of the parade? Do you watch it with your young ones, or do you skip it by? Are you sorry to see it going, or is it long past time for it to leave? Please let me know your thoughts in the comments below, and thanks for stopping by today! 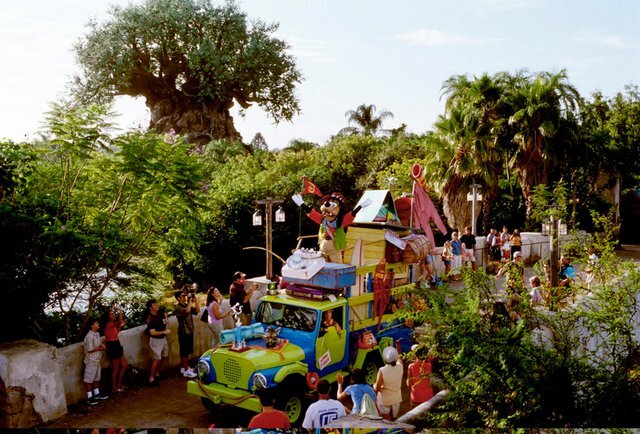 I’ll close with a great picture of the parade, courtesy our friends at Disney Parks. Tanya’s Tips for being selected as First Family at Disney!